AMD was expected to reveal a few additional goods during its New Horizon event in the middle of December, but that didn’t happen. All we saw were a few demos showcasing the performance of its Ryzen desktop processor and a brief glimpse of the company’s upcoming graphics chip design codenamed “Vega.” The expected motherboard stuff was apparently saved for CES 2017. For starters, there are five motherboard makers at the Las Vegas tech convention displaying a total of 16 AM4-based solutions ready for AMD’s upcoming Ryzen desktop processors. They are based on the X370 and X300 chipsets, with the X370 serving the high-end desktop market that demands the ultimate performance, multiple graphics cards, and the latest motherboard features. The X300 chipset targets performance-packed small form factor PCs using Mini-ITX motherboards. 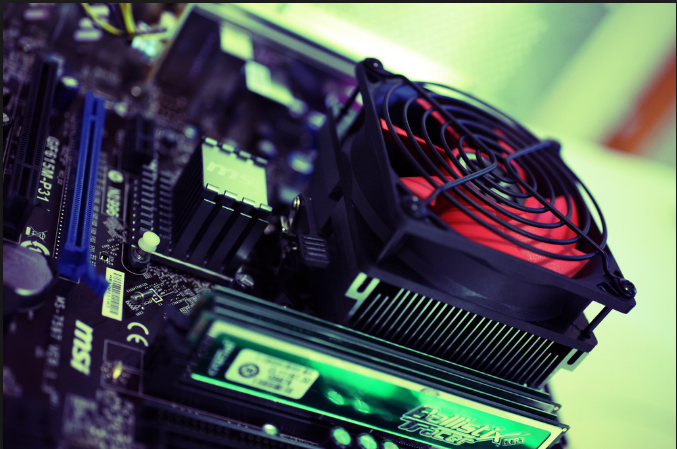 According to DIGITALTRENDS, some of the features customers will see with the new motherboards include support for dual-channel DDR4 memory, M.2 SATA devices, NVMe devices, PCI Express 3.0, and USB 3.1 Gen 1/Gen 2 connectivity. These motherboards will also include dedicated PCI Express lanes for USB, graphics, data, and other I/O connectivity for super-fast performance and data transfer speeds. In addition to the motherboards, there is a huge lineup of system builders showcasing Ryzen-based PCs at the show. These span from typical “dream machines” to what AMD calls “exotic” custom water-cooled systems. Finally, AMD says it’s working with 15 top cooler manufacturers and vendors which are designing cooling solutions for Ryzen-based systems. The company doesn’t provide a list as it did with the system builders but mentions that Noctue is working on an ultra-quiet air cooling solution called the NH-D15 and a slimmer version called the NH-U12S. AMD also mentions EKWB will provide custom water cooling solutions. AMD is expected to reveal its lineup of Ryzen processors for desktops sometime during the first quarter of 2017. Joining the lineup will be complete Ryzen-based systems, AM4-based motherboards for system builders, and compatible products to help keep those Ryzen processors cool in the heat of high-performance scenarios. For those who haven’t seen what the Ryzen processor can do, AMD has a dedicated “New Horizon” playlist on YouTube offering the entire one-hour show from December, along with individual clips yanked from the event focusing on specific demos.